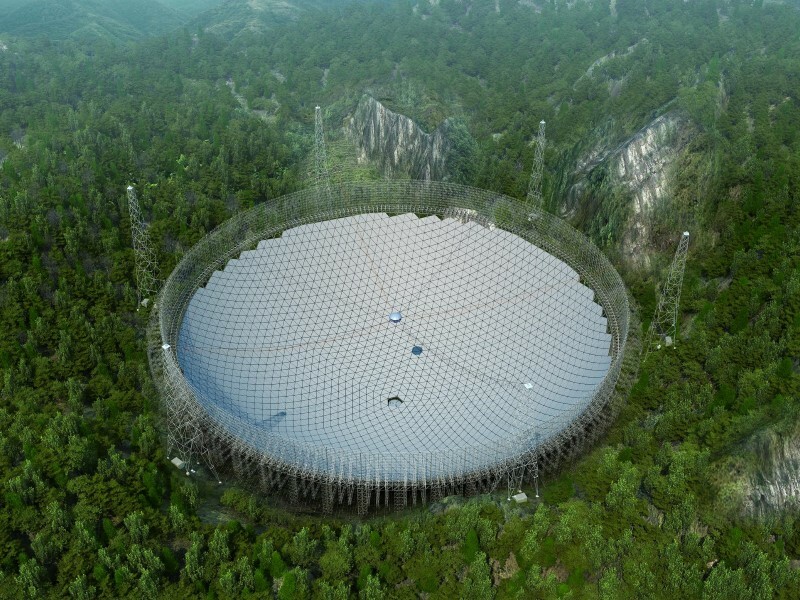 The Five-hundred-metre Aperture Spherical Radio Telescope (FAST), nestled between hills in the southwestern province of Guizhou, is due to start operation this year. Provincial officials have vowed to relocate 9,110 residents living within five kilometres of the listening device by September, the official Xinhua news agency said. The relocations will “create a sound electromagnetic wave environment”, it cited a top regional official named Li Yuecheng as saying. Residents will receive CNY 12,000 ($1,800 or roughly Rs. 1,25,000) in subsidies for their troubles, with some getting extra support for housing, it said. FAST, built at a cost of CNY 1.2 billion, will dwarf the Arecibo Observatory in Puerto Rico as the world’s largest radio telescope, which is some 300 metres in diameter. Xinhua earlier cited Wu Xiangping, director-general of the Chinese Astronomical Society, as saying that the telescope’s high level of sensitivity “will help us to search for intelligent life outside of the galaxy”. In the past China has relocated hundreds of thousands of people to make way for large infrastructure projects such as dams and canals. Many complain of poor compensation. The area surrounding the telescope is remote and relatively poor. Xinhua earlier said it was chosen because there are no major towns nearby. As well as upping investment in astronomy, Beijing is accelerating its multi-billion-dollar space exploration programme, with plans for a permanent orbiting station by 2020 and eventually a manned mission to the moon.